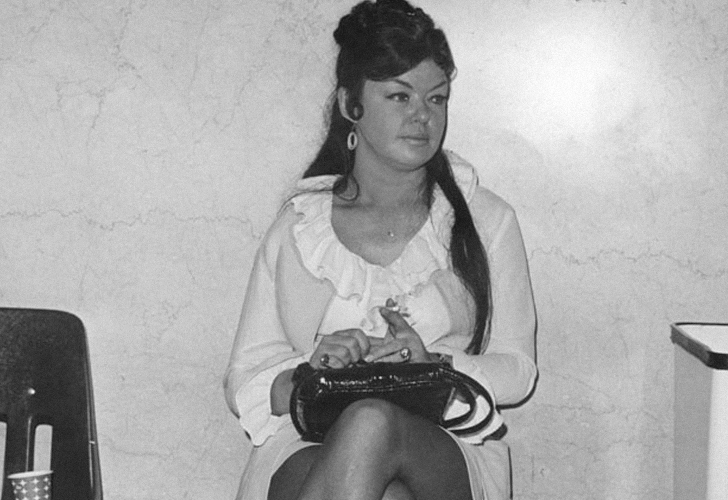 Witness Ronnie Howard waiting to testify October 8, 1970 that Susan Atkins confessed the Tate murder to her in jail. LOS ANGELES, Oct. 8 – Confessions last November by Susan Atkins, one of four defendants in the Tate-LaBianca murder case, brought the trial to an abrupt halt today as attorneys and the judge attempted to censor the testimony to prevent a mistrial. The confessions by the girl while she was at Sybil Brand Institute can be used against her only and not against the other defendants, according to recent Supreme Court decisions. Three of the four defense attorneys indicated today that they would ask for a severance of their cases from that of Miss Atkins, and subsequently a motion for mistrial should the judge allow the confession into the record. Although hippie cult leader Charles Manson and the three girl defendants, Miss Atkins, Leslie Van Houten and Patricia Krenwinkel, were not in court today because of their disruptive antics, much of the trial was conducted in secret chambers session as Los Angeles Superior Court Judge Charles Older edited the expected testimony of the two cellmates of Miss Atkins. Aging redhead Virginia Graham and micro-miniskirted Ronnie Howard took the witness stand without the jury present to testify about when they heard the confessions from Miss Atkins and to whom they related the story. The courtroom testimony was only regarding a protest by defense attorneys that they have not been, given all statements made by the two women. Mrs. Graham testified that she had a discussion with Miss Atkins — whom she knew as “Sadie Glutz” — in early November of 1969. She said she told the story to officers more than four weeks later when she was transferred to the California Institute for Women at Corona. Miss Howard told virtually the same story, however, claiming she called Hollywood police detectives to tell them her story two days before Mrs. Graham told hers. Wednesday, another “family” member also charged with the seven murders was brought to court for arraignment. Charles “Tex” Watson, dressed in a double-breasted, blue jacket — but tieless — stared into space as Los Angeles Superior Court Judge George Dell assigned Los Angeles attorney Samuel Bubrick to defend him on the murder and conspiracy charges. At Bubrick’s request, Judge Dell assigned three psychiatrists — Drs. Seymour Pollack, George Abe and Marcus Crahan — to examine Watson to determine whether he is presently sane and if he was sane at the time the crimes were committed.